Local artist Al Gorman uses objects washed ashore to create art works. Want to know more about the sculptures? 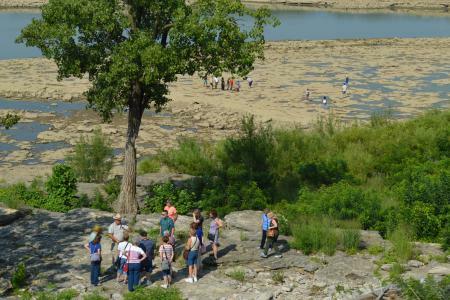 Visit the banks of the Ohio River. Summer days in SoIN are great for cooling in the pools and water slides, but we can’t swim all day. Want ideas on how you can stay cool and have fun this summer? Downtown Jeffersonville&apos;s Big Four Station Park was transformed into something beautiful May 24-28. Bands and festival-goers from around the world joined for Abbey Road on the River to play tribute to the music and message of the Beatles.